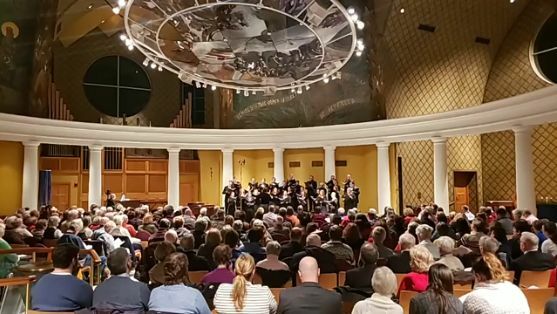 Christmas at Loretta 2018 featured the world premiere of a new work by American composer William McClelland along with other new works for the season and familiar carols in new arrangements. 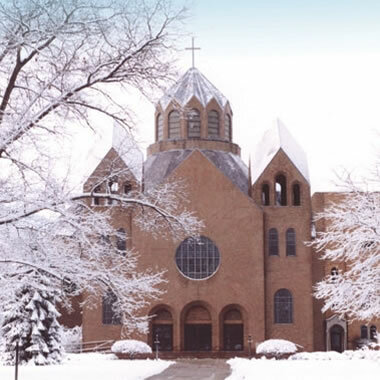 Mark your calendars for Christmas at Loretto 2019, scheduled for Sunday, December 22. Let Your Heart Speak Music, by Jocelyn Hagen. Performed in memory of R. Wyatt Mick, 1929-2018. Hodie, by Joan Szymko. Conducted by Ryan Peteraf. Born on a New Day, by John David and Philip Lawson, arranged by Peter Knight. Behold a Tender Babe, by Paul Mealor. Tenor soloist Ryan Clough. Composer and pianist William McClelland was born in Detroit and grew up near Goodison, Michigan. Acclaimed for his “vivid music,” “appealingly direct manner of expression” and “fertile contrapuntal imagination,” McClelland has written a wide variety of music in many styles and forms. His recording of choral works on Albany Records, The Revenge of Hamish, performed by William Appling Singers & Orchestra under the direction of William Appling, has received international acclaim. 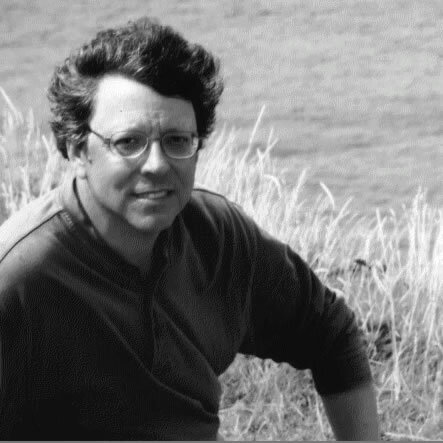 McClelland’s music has been performed and commissioned by organizations throughout North America, and he has been the recipient of grants and awards from Meet the Composer, ASCAP, the Aaron Copland Fund, Massachusetts Council on the Arts, Dance Theater Workshop, the Four Freedoms Awards, Vassar College, Western Reserve Academy and others. Groups that have performed his music include: Cerddorion Vocal Ensemble; Vox Humana; C4: The Choral Composer/Conductor Collective; The West Shore Chorale; William Appling Singers & Orchestra; and Quintet of the Americas, among others. His music has been featured in concerts and performances in New York City at Dance Theater Workshop, Creative Time, Dance USA, The Field , P.S.122, New York Foundation for the Arts, the Winter Garden (World Financial Center), the Joyce Theater, Dancing in the Streets, University Settlement, and the Lower Manhattan Cultural Council. His music has also been presented at Snug Harbor Cultural Center and at many colleges including Sarah Lawrence College, Harvard University, Vassar College, Columbia University, Queens College (NYC), the School of Visual Arts, University of Maine, University of Massachusetts, Longy School of Music (Cambridge, MA), and Queens University (Kingston, Ontario). McClelland has collaborated as composer on a number of works with author Ian Frazier as well as projects with the Russian artists Komar & Melamid. As a performer McClelland gives frequent concerts with his wife, soprano Jean McClelland, in programs of classic American theater songs as well as his own songs and other classical works. He has played keyboards for productions at the New York Shakespeare Festival, Theatre for the New City, and has premiered works by John Cage, Carl Ruggles, David Patterson, and other composers. He has conducted choral groups and been musical director for theater productions in New York City and Massachusetts and has served on the piano faculty of the University of Massachusetts (Boston), and the Elizabeth Seeger School (NYC). For many years, he has also been the leader of a swing/jazz ensemble, The Feetwarmers. McClelland has produced two recordings of early American choral music, including Wake Ev’ry Breath, choral music of America’s first native-born composer, William Billings, on New World Records, and Shall We Gather, American hymns and spirituals from the 19th century, on Albany Records. He has also produced recordings by pianist William Appling of music by Scott Joplin and J.S. Bach. In addition to his work as a musician, McClelland is an active environmentalist and founded a company, Bag Snaggers, Inc. The Bag Snagger is a patented tool and the only one of its kind designed to remove plastic bags and other debris from trees and other hard-to-reach locations. Learn more, visit the artists’ website.